How to add subtitles or captions? Enabling captions is not possible for linked videos. In order to use this feature, it is necessary to upload your videos to vooPlayer or your own S3 storage. The "Subtitles & Captions" feature is under the ADVANCED OPTIONS from the Settings menu. All subtitle .SRT files will be automatically converted to .VTT. 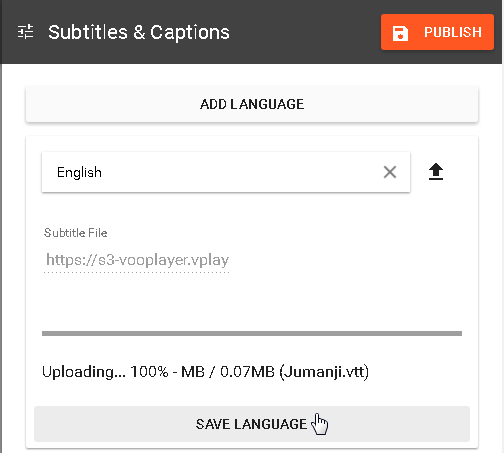 Click on ADD LANGUAGE and you will be able to choose subtitle language and directly upload your file by clicking the upload button on the right. Now click on the SAVE LANGUAGE button and PUBLISH your video. 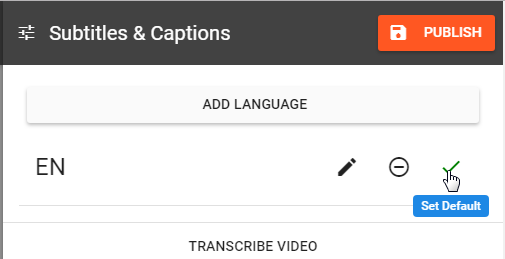 It is possible to upload several subtitles in different languages, to set one as default, just click on the check mark and it will become green to indicate this change. 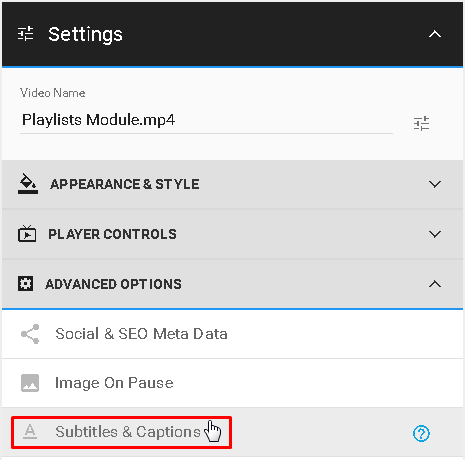 During playback, your default subtitles will be displayed automatically.